I've given the blog a bit of love and have made some updates. There are now some tabs on the bar at the top of the page! The Recipes page has quick links to all of the recipes that have been featured on the blog, for easy access. For my current read and other books I've recently read and others I'd recommend, see the Books page. Check out the About and Contact pages for more info on the blog and yours truly. Hopefully these changes will make the blog a bit easier to navigate! 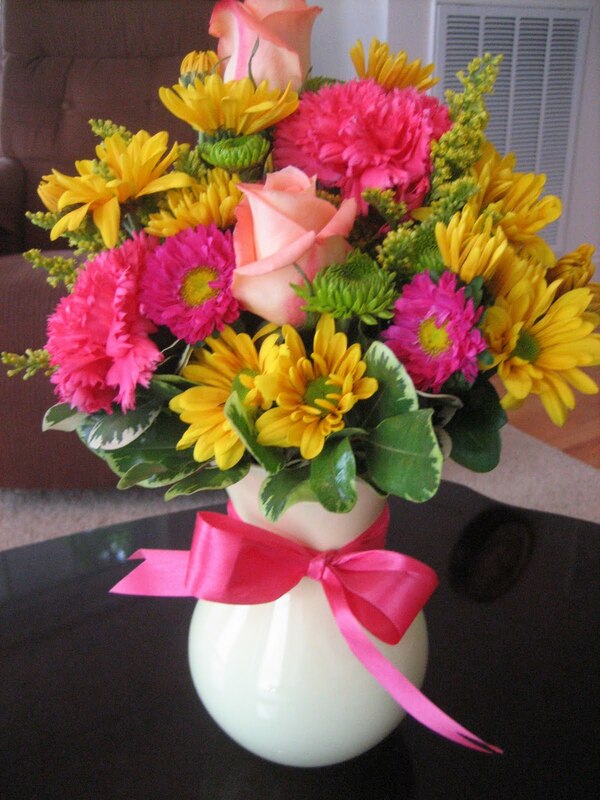 And just because they're so beautiful, here's a picture of the flowers my parents sent me yesterday. beautiful flowers! yay for tabs! so sweet of your parents! Like your blog a lot. It is always good to update and make changes every once in a while. Love the tabs, love the flowers, and love that YOU love the flowers! Love YOU, too!